Philadelphia offers a wide array of events for friends and family to ring in the holiday season. 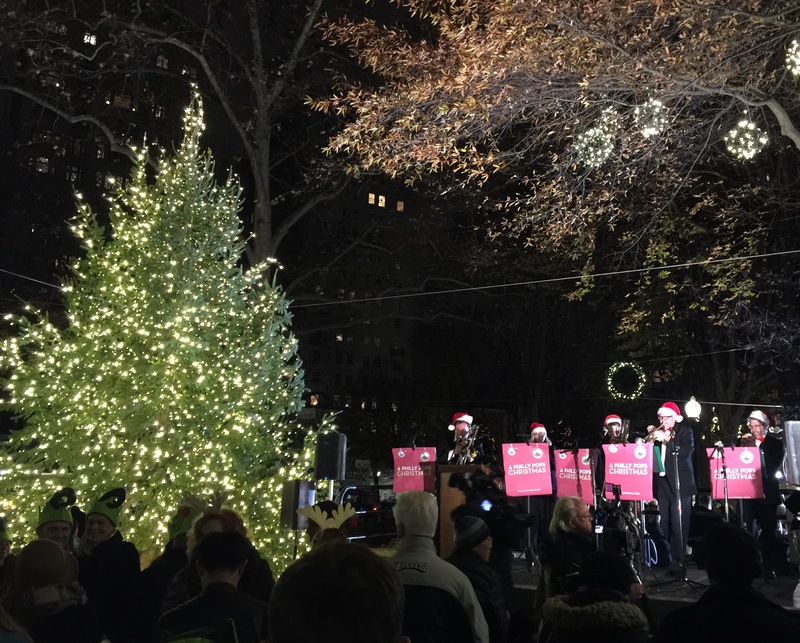 This past Thursday, I attended the annual Tree Lighting Ceremony at Rittenhouse Square. It was a surprisingly moving event. Several sponsors from the area provided free snacks and warm beverages to the diverse group that gathered from around the city. The Salvation Army collected donations of children’s toys for distribution to underserved families, and elf hats and reindeer antlers were handed out to ensure everyone could be a playful part of the festivities. The crowd went wild when the guest of honor, Santa Claus, made his way onto the stage, and everyone was in awe when after the countdown, he flipped the switch and the 30ft tree lit up in all its glory. Following the lighting, the Philadelphia Pops played a lively assortment of holiday classics. Rittenhouse Row was one of the sponsors and folks were encouraged to also visit local businesses in the neighborhood. Afterwards, I headed over to Macy's and happened to catch their light show, a decades old tradition that deserves its own post all together… (to be continued).